What was the real effect of the radical Tomorrow’s Schools reforms? Has New Zealand’s school system improved as a result? What changes are needed now to meet our expectations of schools? 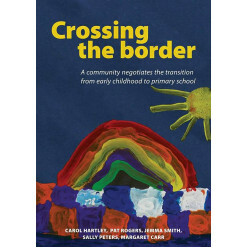 This is the definitive and compelling story of New Zealand school selfmanagement over more than two decades. Cathy Wylie explores the paths taken and the growing tensions of a system that left too much to chance. Her analysis of how well the reforms have delivered is set against what we now know about how to nurture the most effective teaching and learning in schools. 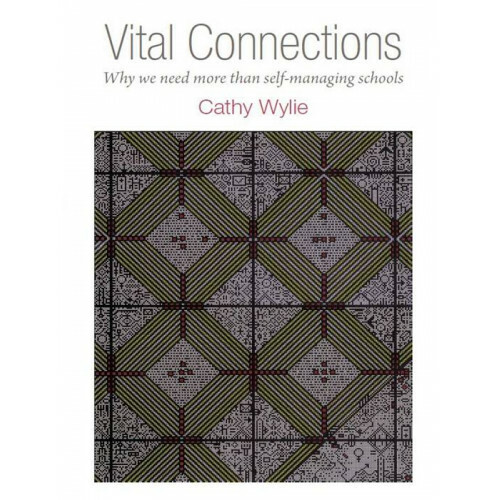 She makes a cogent and deeply researched case that New Zealand needs more than self-managing schools. This book contains hard-hitting recommendations for change. It is essential reading for school leaders, teachers, policy makers, politicians and anyone who wants to understand what lies behind effective teaching and learning. We value education so much that we make schooling one of the very few compulsory experiences of all New Zealanders. Less than 1 percent of students between the ages of 6 and 16, when schooling is compulsory, are home-schooled (Ministry of Education, 2010).1 The vast majority of us gain skills, knowledge, interests, understanding and friendships, and encounter difference and uncertainty, in classrooms, school halls, playing fields and school trips. We rely on our teachers, and we learn to give and take with our peers. But we don’t start school as blank slates or empty vessels. Our schooling experience is filtered through our previous experiences, particularly the opportunities we have had to engage with words, symbols, patterns and movement, and to experience the interest and support of adults who encourage us. Most of us can also augment the learning opportunities we get at school with other learning experiences if our homes and neighbourhoods offer us opportunities to try different things, to pursue goals that require growing skill and knowledge, and encounters that deepen our understanding of the world’s subtleties and complexities. Yet compulsory schooling still often provides the core of our growth, and it is the core we rely on as a society to ensure the next generation will be well equipped to make the most of life. Over time we have asked more and more of schools as our society and economy have changed, and with them the kinds of livelihoods and contributions individuals can make. Without some qualification, work opportunities are now scarce. Fewer opportunities are available to learn on the job for those who find nothing in school to motivate them and who leave without a qualification. The success of ‘second-chance’ post-school learning in attractive-looking vocational certificate courses is often patchy, especially if the second-chance learners have not acquired sound learning habits at school, have no clear idea of what interests them, or have received no sound advice about choosing a course that will progress them (Patterson, 2011; Wylie & Hodgen, 2011). We are more aware of the costs to both individuals and society when students leave school without a secure platform of skills, knowledge and good communication habits, and without the will to keep learning, to try new things and to persist. We are also more aware of the long-term corrosive effects of failure in schoolwork, of being labelled ‘dumb’, ‘lazy’ or ‘cabbage’, and of student experiences of teachers who show no interest in or respect for them as individuals. Most of us come through school with both good and not-so-good experiences of learning and teachers. We can recall classes where everything seemed to come together to absorb us: often what we recall is the passion of a teacher, the way something was lit up. But we also know people who have been scarred by bad school experiences, who in later life regret the learning they lost by being steered into courses that bored or did not challenge them, or that caused them to walk away in defiance, and who as adults scorn those who teach or pursue knowledge and understanding. This is an essential, and tremendous, task that requires considerable sophistication and coherence for teachers and schools to achieve. No matter what knowledge and skills students bring to school when they enter at the age of 5, or how they have spent their time out of school, we ask schools to ensure that all school-leavers are equipped with a meaningful qualification that will both provide them with a platform for ongoing learning and participation and signal this to others. Qualifications now carry greater weight, and marked progress in qualification success has been achieved. Sixty-nine percent of the school-leavers of 2010 stood on the platform of at least NCEA Level 2 or its equivalent, up from 52 percent in 2005. The Ministry of Education describes NCEA Level 2 as “a benchmark, which young adults need to complete to have a basic prerequisite for higher education and training, and for many entry-level jobs” (Ministry of Education, 2011c, p. 41). Around twice as many Māori students, so long underserved by schools (Benton, 1988; Penetito, 2010), achieved NCEA Level 2 or its equivalent in 2010 compared with 2003. But we are far from being able to rest on our laurels—not that such a thing is ever possible in education! We still need to improve the education of those 52 percent of Māori school-leavers, 40 percent of Pasifika students and 31 percent of school-leavers overall who in 2010 entered the adult world without this level of qualification. Improving education is no simple task. We often think of education as we remember it from our own experiences, fastening on individual teacher traits. Enthusiasm usually inspires. (“If you’re not passionate, just fake it!” was the advice of one student to the 2009 international conference on school effectiveness and improvement; he brought the house down.) But enthusiasm without real knowledge—knowledge of a subject area, of one’s students, of the strengths and difficulties these students have—is not enough for good learning. And knowledge of the subject and the students is not enough without an understanding of how the two can come together in ways that are helpful for learning. A teacher needs strategies they can use and make explicit so that learners can value, initiate and pursue their own understanding and competency. Finally, knowledge and strategies are not enough without the relevant materials or resources to work with. Every teacher who succeeds with their students must bring all these together in a synergistic rather than a mechanical way. To improve education we have to ask whether our education policy sufficiently supports teachers to undertake this intensive and complex work. What we remember when we remember individual teaching that inspired us is just the tip of the iceberg. It takes a good system to produce and keep good teachers. It takes well-grounded, deliberate policy to ensure that we have sufficient good teachers in every school, to match our expectations of what education now needs to provide. It needs attention paid to ensuring that the knowledge and strategies that go into good teaching are circulating, and continually building to match an ever-changing and increasingly complex environment. Policy needs to be framed to ensure that teachers are part of a vibrant, inquiring, professional school culture, and that they are linked with others who are also sharing and building knowledge of good teaching and learning, beyond their own school. Policy and regulatory frameworks are not what come to mind when we think of good teachers we have experienced, and yet it is difficult to achieve good teaching and learning unless these frameworks are designed to foster good teaching and learning, and to build on the evidence already available about how best to do this. It is also difficult to improve teaching and learning if there is a lack of coherence in education policy, if various policies pull in opposing directions, distracting energy and attention from what should be the core focus of teaching and learning. New Zealand’s experience since Tomorrow’s Schools gives a sobering example of the significance of policy frameworks in what teachers and schools can achieve, and the cost of incoherence in policy. Qualification rates did not change over the first decade (and longer) of school self-management. There was no improvement until 2002, when the introduction of NCEA fostered new approaches to teaching and learning. It was too difficult for secondary schools and teachers to increase qualification success until they and their students no longer had to work within a long-criticised and outdated qualification framework that set artificial limits on the proportion of students who could succeed. This framework had been clearly identified as one of the major barriers to improving educational outcomes for Māori, whose educational opportunities were of particular concern to the Picot taskforce and to the Tomorrow’s Schools policy. Changes to the qualifications framework that had been gearing up at the time were sideswiped by the shift to school self-management. That shift took up too much of the policy space and too much energy throughout the system. Changes to administrative structures also had first call on government funds—funds that reduced rather than increased, just as more was being expected of schools. The nature of the shift to school self-management fragmented curriculum-based networks and the porous connections between schools. Schools found it harder to share, to collaborate, in a more competitive environment. Strong interconnections between schools and government no longer existed to keep building a shared and trusted platform. Ironically, secondary schools had already exercised much self-management before Tomorrow’s Schools. A real brake on secondary schools improving their students’ performance was not their connections with government, but the structure of the qualifications framework of the 1980s. Arguably, putting the shift to self-management ahead of frameworks that supported change to secondary teaching and learning came at an unnecessary cost for secondary students in the 1990s, and resulted in a decade’s delay in our making progress towards doing better by students who had been consistently underserved. It would have been difficult to increase qualification success even with the change to the more relevant standards-based qualification that NCEA has provided since 2002 had there not been nationally funded opportunities for teachers to connect with others and make sense of the new standards. The introduction of NCEA was flawed, and like any qualification or assessment system it needs regular review and development to ensure it supports new understanding of how students learn best and our expectations of what they should be and do (e.g., Bolstad & Gilbert, 2012), as discussed in Chapter 9. Nonetheless, it has made possible some new approaches to teaching and learning that have had positive effects. The quality of our schools reflects the quality of our educational policy. What they are able to achieve is not just a matter of desire and effort on the part of teachers and principals. Good policy needs to ensure that our educators have frameworks that allow them to use knowledge well, and connections that ensure they have the capability that is needed. In 1989, when I drafted the first of NZCER’s national surveys of the impact of Tomorrow’s Schools, I looked for indicators of effective schools that we could include to chart changes over time in the capability and capacity of self-managing schools. Only a handful of strong studies existed. Now there is a wealth of studies, not only on effective schools but also on how schools become effective, how they improve, and particularly how we improve learning for those who come to school without the advantages of well-stocked early childhoods and well-founded expectations that school is for them. There is also much research on how the systems in which schools are located can either support them to do their best by their students or make it difficult for them. We are much better placed now than we were in 1988/89 to design policy to make the most of self-managing schools, and to think carefully about the quality of the infrastructure on which their quality depends. There are six principles from this existing research-based knowledge that have informed my thinking as I examined the changes in our schooling system. These are principles that can be used to examine the soundness of the infrastructure built by our educational policy. I have therefore framed them here as questions. • Are there inbuilt, ongoing relationships of both support and challenge, and purposeful work between schools and different parts of the system, that foster the sharing and development of knowledge and a shared idea of the issues and action needed to continually improve teaching and learning? • Is there alignment between policies and processes at the national and school levels, and with the roles of teacher education and development? • Are there common values and goals that allow attention to be paid to the deep issues of education, and that provide a common purpose that enables teachers and policy makers to work respectfully together? • Is sound existing knowledge the kernel of national and local frameworks for teachers’ and schools’ work in terms of teacher education and development? • Is new knowledge actively generated by building on existing knowledge using interconnections? • Is policy evaluated in ways that allow ongoing learning, and refreshing or reframing? • Are students and their learning sufficiently at the heart of our endeavour? • Is time for teachers to evaluate and develop their own work, to find out and think about new knowledge related to their work, and to work and learn together, included in everyday school processes? • Is the availability of good teachers and principals independent of the location of the school? • Is the improvement of educational experiences and outcomes, particularly for the underserved—Māori, Pasifika, students from low-income homes, those whose parents’ own education was limited and those with special education needs—really shared across the system’s layers and roles? • Is the system a learning system, able to use its knowledge and interconnections to keep developing in more productive ways? All these principles matter. For example, we are unlikely to see better teaching and learning if initiative is exercised without good knowledge or a sense of shared responsibility. Good interconnections that ignore sound knowledge do not benefit students. Good interconnections that exist only for some schools and are used by them to make the most of their own situation will only benefit some students, without contributing to improvements for all. The knowledge I am talking about is not of isolated facts or of guaranteed recipes. It is research-based or supported by solid practice evidence. All knowledge needs to be interpreted in the light of other knowledge, such as of the out-of-school lives of one’s students or the traditions people bring to a situation. It also needs imaginative thought and real discussion, since in our current era we do not have the luxury of being able to support systemic change through increasing the public expenditure on education. We need to be able to make more of what we have. We need to look for policies and frameworks that can serve several purposes, that give us dual value by interweaving the use and growth of knowledge with connections across the system. Indeed, I cannot see how we can come closer to meeting the high expectations we now have of education unless we ensure we frame educational policy and provision through such informed and inclusive discussion. It is also clear that for any education system to stay in good health and keep developing it takes concerted understanding and commitment, including from outside the education system. Political whim and ideology can all too easily derail long-term progress, particularly if they replace well-founded or well-developing infrastructure and frameworks with ones that are not supported by existing evidence and that ignore the lessons of the past. The era before Tomorrow’s Schools had some considerable challenges. It also had some strengths that may not have been as clear to people until they were gone. The next chapter takes us back to that time to show how the system worked before Tomorrow’s Schools. We need to understand its strengths and shortcomings if we are to understand how well positioned schools and teachers were to take on the responsibilities asked of them in the reforms, and whether we could have expected Tomorrow’s Schools to improve educational opportunities. 1 The total number of home-schooled students in July 2010 was 6,782. Over half of those who completed home-schooling in the previous 12 months had 4 years or fewer of home-schooling, suggesting that many home-schooled students also have some regular school experience in their educational journey. 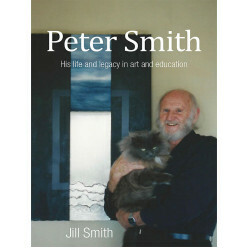 Crossing the border has been written for early childhood education and primary school teachers wh..
Peter Smith was one of the most influential art educators in New Zealand. During his 50 year care.. 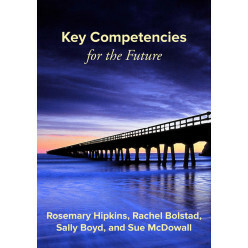 This book is an exhilarating journey into the set of ideas known as the key competencies. 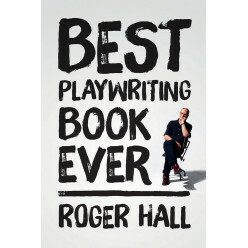 The aut..
Best Playwriting Book Ever is a practical manual for novice and experienced playwrights – a..
Disciplining and drafting, or 21st century learning? 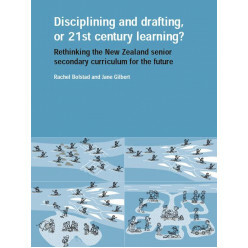 Will today’s curriculum prepare secondary school students for life in the 21st century?&nbs..